The senator said she felt "extremely unwell" over the weekend. Source: Facebook/Pauline Hanson's Please Explain. Pauline Hanson is recovering in hospital after she was rushed in for emergency surgery on Tuesday, having suffered from “extraordinary” pains in her stomach. The One Nation leader said she became extremely unwell over the weekend but did not seek medical help until Tuesday when her GP advised her to go “immediately to hospital” for further scans and blood tests. 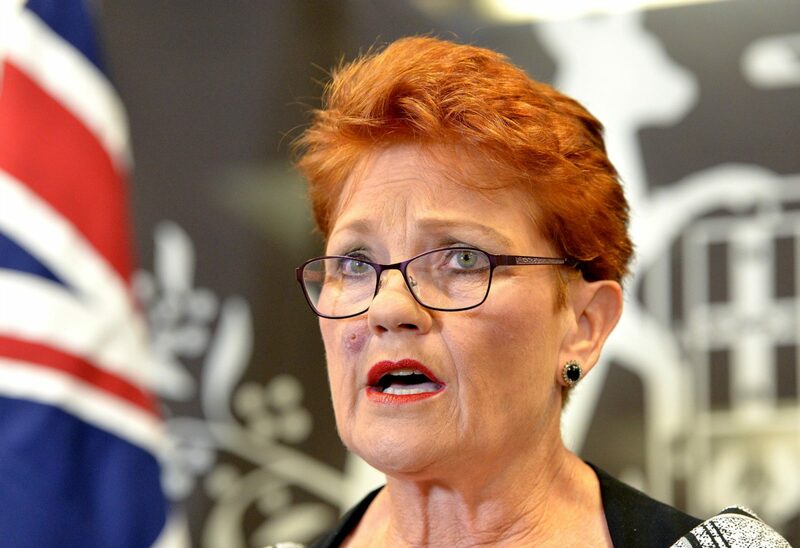 Hanson was kept in and underwent emergency surgery to remove her appendix, however the 64-year-old politician revealed she is now on the mend and is already starting to feel better. The Queensland Senator revealed the news on social media as she shared a photograph which showed her wearing a hospital gown and hooked up to various machines. “Over the weekend I felt extraordinarily unwell. At first, I thought it was a case of food poisoning so I just took it easy,” she wrote. “I woke yesterday morning to continued pains in my stomach and decided to see a GP. I was told I needed further scans and blood tests and was taken immediately to the hospital. Pauline was bitten by a tick last week. Source: Getty. The news of Pauline’s hospitalisation comes just one week after she was left “unrecognisable” after being bitten on her face by a tick. She showed off the gruesome bite during a press conference on Thursday, where she addressed the media for the first time since an explosive two-part Al Jazeera documentary aired on the ABC. Featuring hidden camera footage, How To Sell a Massacre showed One Nation Chief of Staff James Ashby and Queensland Leader Steve Dickson appearing to lobby the National Rifle Association of America for cash, which they have both since denied. Standing shoulder to shoulder with the pair, Hanson vowed to stick by them, describing the Al Jazeera investigation as a “false story” and claiming that Dickson and Ashby were “stitched up”. Do you have a get well soon message for Pauline? Have you ever had your appendix removed?